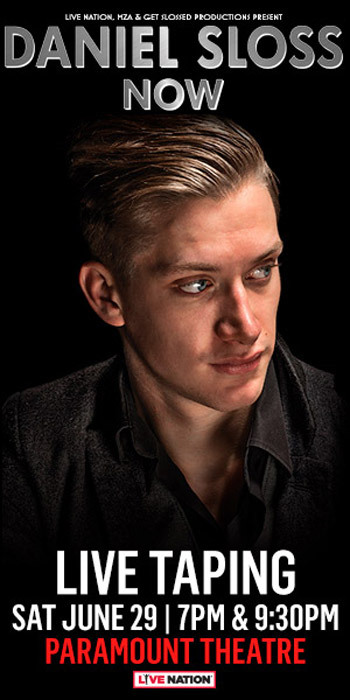 Daniel Sloss: Now - after the success of his 2 hour-long Netflix specials ‘DARK’ & ‘Jigsaw’, this is the stunning new live show from Scotland’s award-winning comedy star. Currently making headlines around the world with "Daniel Sloss: Now", his ground-breaking 10th solo show, Daniel has performed on ‘Conan’ a record eight times and sold out 11 consecutive Edinburgh Fringe seasons (the world's biggest arts festival where he’s been one of the biggest comedy ticket sellers for the past 9 years). He has 4 solo off-Broadway seasons (including 30 New York performances in February) and tours extensively The "DANIEL SLOSS: NOW" tour has already clocked up 150+ sold out performances and keeps on expanding, with new dates selling out as fast as they can be added. Over the past few years he has toured across 35 countries, but since his Netflix shows are streaming in 190 countries (and in 26 languages!) there is still a way to go! We are delighted to welcome Daniel to The Paramount Theatre.